at the Bitternut Homestead, 717 Otisco St Syracuse, NY 13204. We’ll share food, enjoy a burning fire, pull Angel Cards, create art, and catch up. Vegan food is preferable for sharing. BYOB. Share and RSVP on the Facebook page for this event if you can, and in any case, feel free to come and bring good company! 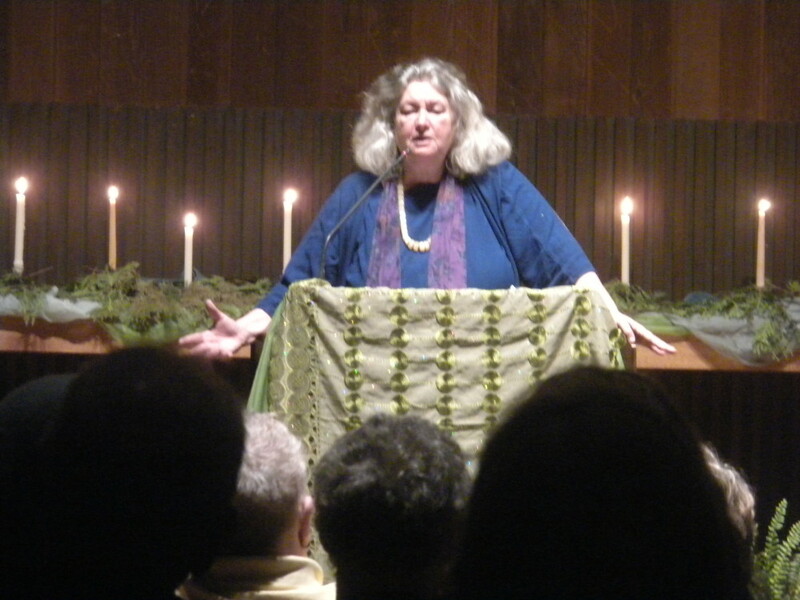 Select audio portions of Starhawk‘s visit to Syracuse on February 24th, 2016 courtesy of The Alchemical Nursery Project. Both clips PART 1 and PART 2 are about 30 minutes in length each. 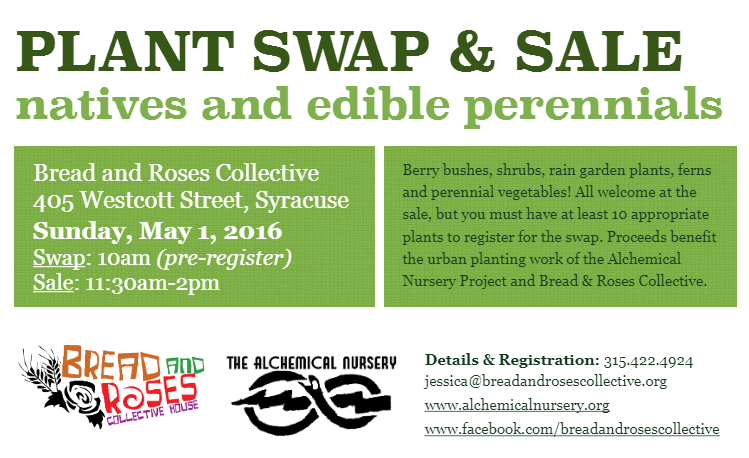 Don’t forget to sign up for our plant swap this spring, and/or plan to come for the sale. 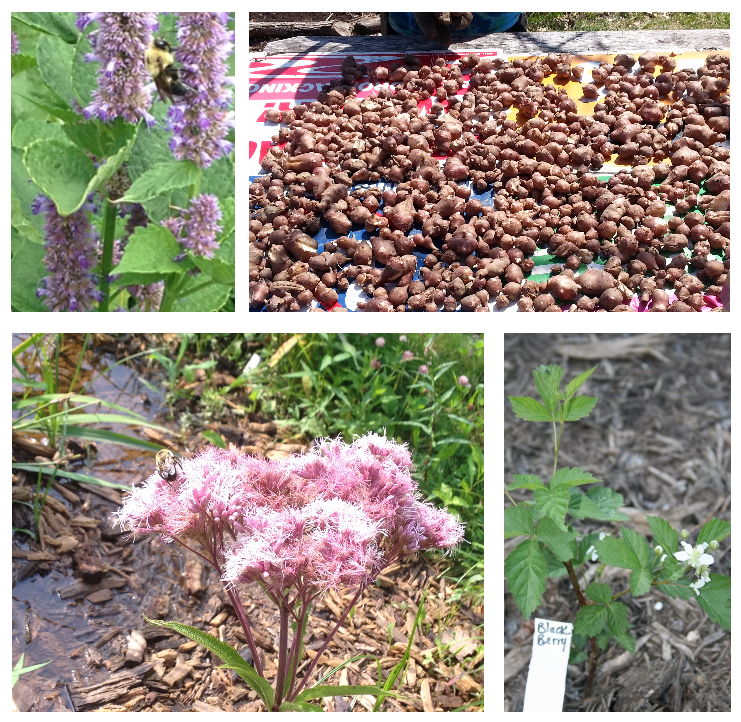 Perennial Plant Swap & Sale on May Day! Berry bushes, shrubs, rain garden plants, ferns and perennial vegetables! All welcome at the sale, but you must have at least 10 appropriate plants and pre-register to participate in the swap. 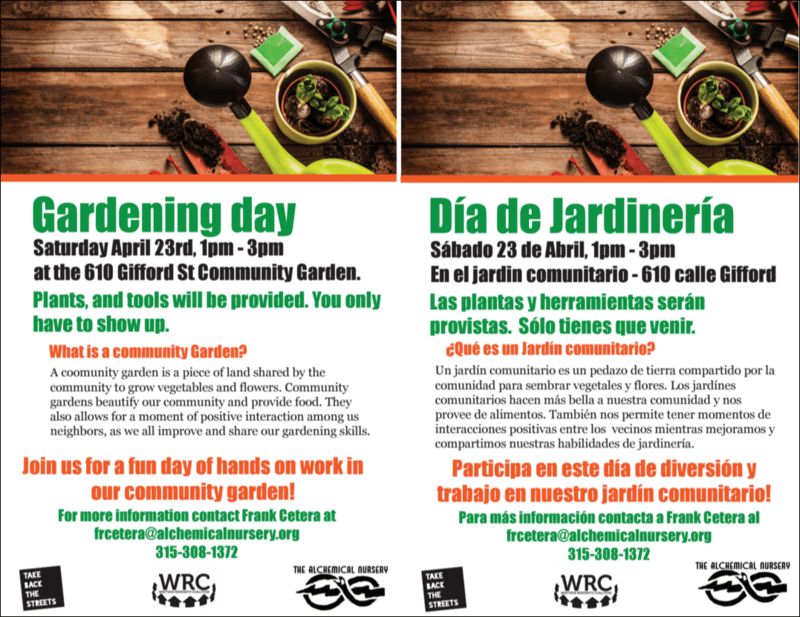 Proceeds benefit the urban planting work of the Alchemical Nursery Project and Bread & Roses Collective.